The camera can only capture scenes that play out before the lens in real life — which makes photographs that capture the surreal, the fantasy worlds or the odd juxtapositions all the more impressive. 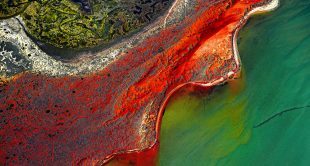 Fine art photographers are often colorful, always creative and never disappointing. They break rules and view the world in entirely different ways. Because fine art photography is such a different, creative genre, the work can often inspire other artists in other disciplines, from wedding photographers to street photographers. And what better way to uncover that inspiration than Instagram? We’ve rounded up some of the most inspiring fine art photographers to follow on Instagram, from the must-follow artists to the rising stars. Here are our favorites. Shape of you ? After our trip to Argentina, it took us a while to get back in shape again! We ate many delicious recipes and @drcuerda and I talk about it and much more today on the @iberia's blog. Link in bio! — Hay viajes que salen redondos, como nuestra última aventura en Buenos Aires. Los chicos de @iberia querían saber el secreto y teníamos tantas cosas que contarles que, ¡ha dado para un artículo entero! Y es que, en Buenos Aires nos sentimos divertidos así que para averiguar porqué, ¡link en la bio con el relato! Anna Devís could be described as an architectural photographer — but that doesn’t do her quirky photos turning structural oddities into artistic statements justice. She finds odd scenes and turns them into an artistic statement by adding people that either match the scene or interact with it in an unusual way. She’s based in Spain, but often travels for her work. Follow Anna on Instagram for a colorful, humorous fine art inspiration. #WHPInTheKitchen ? Hey guys! I need your help. I’ve been all day trying to find out what would @Anniset like to have for supper. She keeps saying it’s very obvious, but I can’t quite figure it out! Do you guys have any idea…? Wait a moment, is that a new hat? I haven’t noticed it before. It looks eggcellent on you! — ¡Hola chicos! ¿Podéis echarme una mano? Llevo todo el día intentando adivinar qué le apetece a @Anniset para cenar. Ella dice que es muy obvio, ¡pero yo no logro averiguarlo! ¿Vosotros sabéis qué puede ser…? Por cierto, ¿os habéis fijado en su nuevo sombrero? ¿Qué os parece? ¡A mí me gusta un huevo! Incredible deals on classes are available now. Don’t wait. Learn more. Daniel Rueda travels with Anna Devís and his work shares several similar characteristics, turning architecture into quirky shots. In his shots, the subject often blends with the scene in an unusual way. If Daniel isn’t toying with architecture, he’s playing with perspective or motion. Follow Daniel on Instagram for a mix of architecture, travel and just plain creative photography. Delaney Allen mixes self-portraiture, landscapes and still life in a colorful take on fine art. The American photographer says his work is a form of self-exploration designed to bring out emotions. Along with exhibiting his work, he also has a photo book. Follow Delaney on Instagram for fine art that plays with nature, people and objects. Many of Alexia Sinclair’s images look like they came straight from a storybook. Her work often takes on both historic and fantasy-inspired qualities with an incredible level of detail. Bold colors also also easy to find in her Instagram feed. 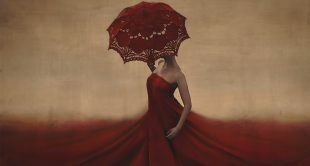 After growing up in Australia, she now lives in London and works in both fine art and commercial photography. Follow Alexia on Instagram for both her photographs and her behind-the-scenes peeks at her process. Much of this series is about complacency, about being trapped in your circumstances without realizing there is a way out. This image really embodies that for me, particularly in the way that we hold on to what we know even when the world around us is shifting; even when we are upside down and lost. To prefer familiarity rather than outside dangers. To rather rot in comfort than find fear in the unknown. ? Or at least, that is my personal fear. That is what I see happening around me. That is what I won't let happen in my life. ? "Circuit" Model: Christin Purcell @jinxedorchid Part of the series "Interval" for "Fine Art Photography: The Complete Guide" on Creative Live. Link in bio to see how each image was made. If you want to see how a fine art photographer takes selfies, take a look at Brooke Shaden’s Instagram feed. 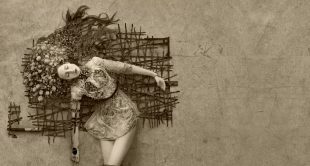 Her work puts herself inside of her own childhood dreams (and often, fear-filled nightmares), creating odd juxtapositions and fighting the laws of physics through photography and editing techniques. Her work uses dark, moody color and often brings in textures of classic paintings. Follow Brooke on Instagram for a glimpse at how those impossible dreams can become real photographs with a few tricks. 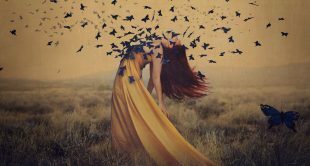 Where Brooke Shaden’s work is artistic because of the detail, the Instagram user known only by the first name Taben is artistic for the opposite reason. While Teber’s composition is minimal, the colors are anything but with bright, almost unworldly colors. Follow Teber on Instagram to see how color, not things, can make the simplest shots incredible. Dirk Bakker is an architectural photographer, but his eye for finding patterns and juxtapositions gives his work a fine art feel. After viewing his work, it’s not surprising to discover his background is in graphic design because of the shapes and patterns. He is currently based in the Netherlands. For architecture that makes a colorful statement, follow Dirk on Instagram. A Color Story is actually a company with a photo editing app and Lightroom presets, but their Instagram feed is too full of colorful fine art to ignore. Each image plays up at least one dominant color for one of the most colorful grids out there. A Color Story is also a great place to find new photographers to follow, since they share work of many photographers using their editing tools. If you want absolutely perfect grids, take a look at Laura Zalenga’s Instagram profile. All her work comes in sets of three, turning the traditional square format into an elongated shot. Despite working in trios, the photos individually often work on their own too. Her work often contrasts the human body with natural or industrial scenes. Follow Laura Zalenga on Instagram for fine art inspiration — but click on her profile occasionally to see how the series all comes together. Joburg gothic and Massive Attack nights. My old architectural works. // Suspiria + Blade Runner ? Shooting photos at night is much tougher task than shooting during the day, but night photography is Elsa Bleda’s bread and butter. Her work uses the haze of artificial lights, often neon, to color her scenes and create an unnatural feel inside a very real scene. Follow Elsa on Instagram for fine art with a cinematic feel. Don’t see your favorite photographer on the list? Share with us in the comments your top fine art photographers to follow on Instagram!